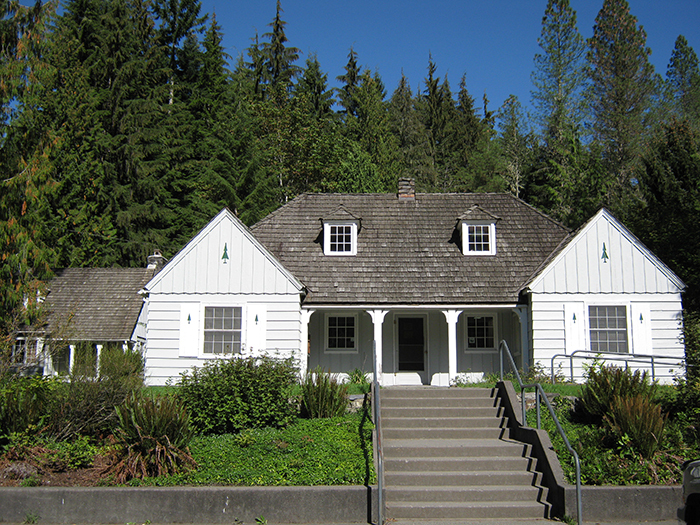 Verlot Ranger Station. Photo credit: Murderbike, Wikipedia. On Monday, October 15, 2018, the United States Forest Service (USFS) and Snohomish County officially re-launched access to 911 service at the Verlot Ranger Station. After a year of uncertainty, this critical public safety tool will continue to be available for those needing access to emergency services 24/7. For years, the Verlot Ranger Station has had a public payphone available for emergency 911 calls. This phone has been instrumental in saving countless lives and speeding rescuers to backcountry incidents. Frontier notified customers in 2017 that they would be removing many payphones, including the one at Verlot. There was an informal agreement that the Verlot payphone would not be removed until an alternative means of emergency communications could be found, since the phone is a critical public safety tool with its proximity to the Big Four Ice Caves and the lack of adequate cell service in the area. Discussions were launched to find an innovative way to keep the phone in service. Snohomish County 911 and a representative from the USFS Verlot station approached the Snohomish County Enhanced Emergency Services Communication System (EESCS) Advisory Board to work together on a solution. In a partnership between the USFS and Snohomish County, a new payphone has been installed, allowing people to contact 911 in an emergency. The new equipment, paid for by the USFS, cost approximately $1,000. The yearly costs of maintaining the service, paid for by Snohomish County EESCS, will be approximately $500 per year. The phone can make free 911, local, and 1-800 calls without a coin or other charge. A calling card can be used for long distance calls.